Aframax specialist Leon Patitsas’s Atlas Maritime appears to have diversified its fleet and snapped up its first bulker in many years. 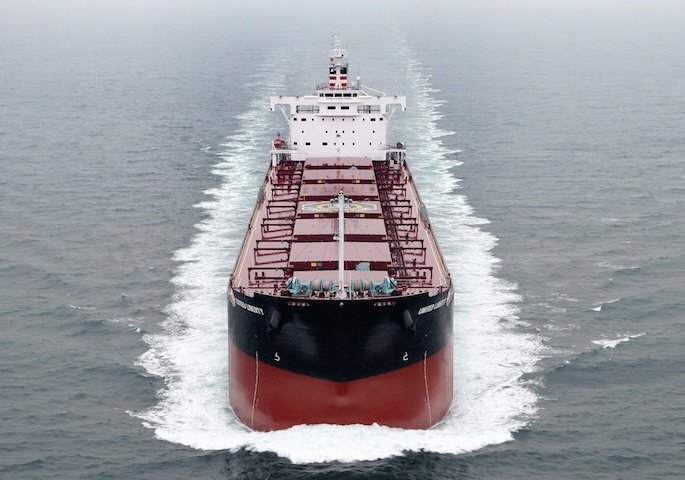 The company had said earlier this year that it has been exploring a return to dry bulk. Patitsas, 41, is linked to a kamsarmax sold by the trustees of Japan’s United Ocean Group, a firm that sought bankruptcy protection 15 months ago. Brokers suggest Patitsas has paid $23m for the three-year-old, Tsuneishi Zosen-built United Ocean . The price is described as firm as similarly aged sister ship, United Prestige, fetched $22.5m just over two weeks ago. An additional three ex-United Ocean Kamsarmax candidates, built between 2012 and 2014, are currently being inspected and are expected to be sold by the end of the month. Atlas Maritime, founded in 2004, is mainly a tanker player, with five aframaxes and a VLCC listed on its site. In the past it has owned gas carriers and bulkers too.